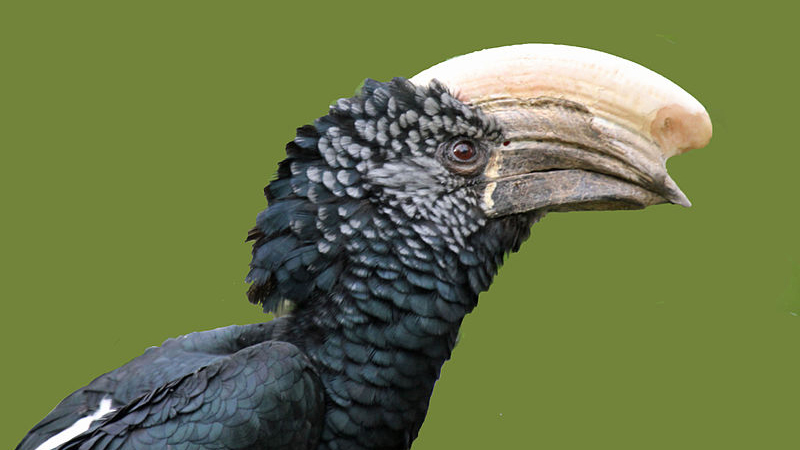 Silvery-cheeked hornbills are large African birds. You can easily distinguish the male and female, as the male has a very large casque adorning the top of their bill. It is believed that this serves to amplify the male's calls.These birds primarily eat fruit, but will also consume insects and small animals for protein. 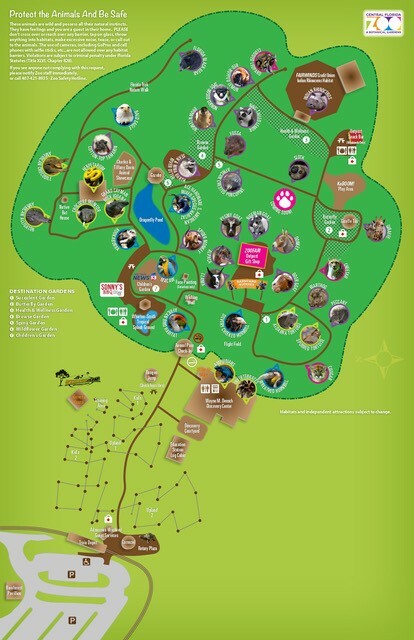 There are many different species of hornbill, and most of them share several features that are quite unique and set them apart from the rest of the bird world. 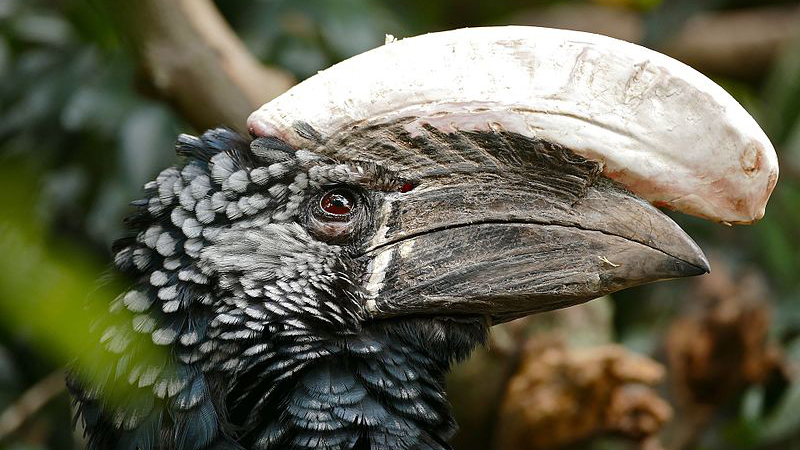 Silvery-cheeked hornbills are one of several African species of hornbill. These birds are monogamous, meaning they mate for life. They participate in a nesting strategy that is truly unique to hornbills, wherein the female will seal herself into a tree cavity with her brood. She will leave a slit in the opening to the cavity that is only large enough for the male's bill, as she will depend on him as her sole source of food until her chicks are ready to fledge. Because of this unique method of nesting and their dependence on trees for food and shelter, these birds are threatened with deforestation in their native range. These are a large type of hornbill from Africa. They get their name from the silvery feathers on their face. 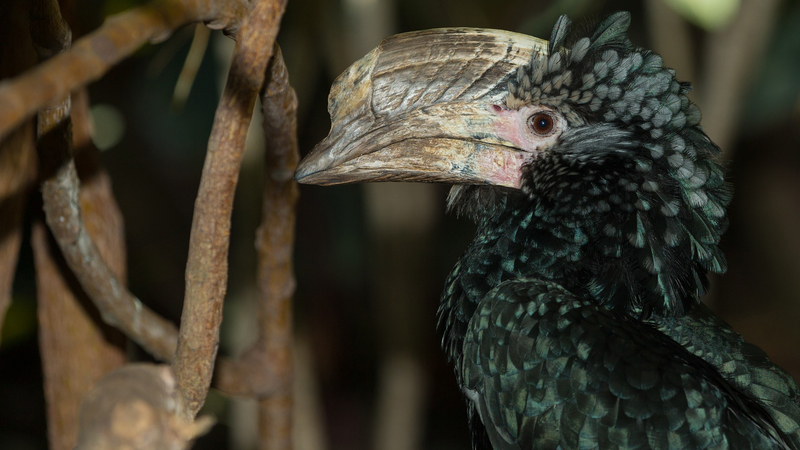 Hornbill beaks are comprised of honeycombed bone with a thin layer of overlaying keratin. This means that in spite of looking very heavy, they are actually quite lightweight! These are monogamous birds. The female will lay 1-2 eggs in a hollow tree cavity. She will then seal the entrance to the cavity with a mud-like substance. The male will feed the female and chicks through a small slit in the entrance until the chicks are fledglings. The female will then break out of the nest with her bill.